Rich and indulgent, this creamy and delicious cheesecake is absolutely perfect. 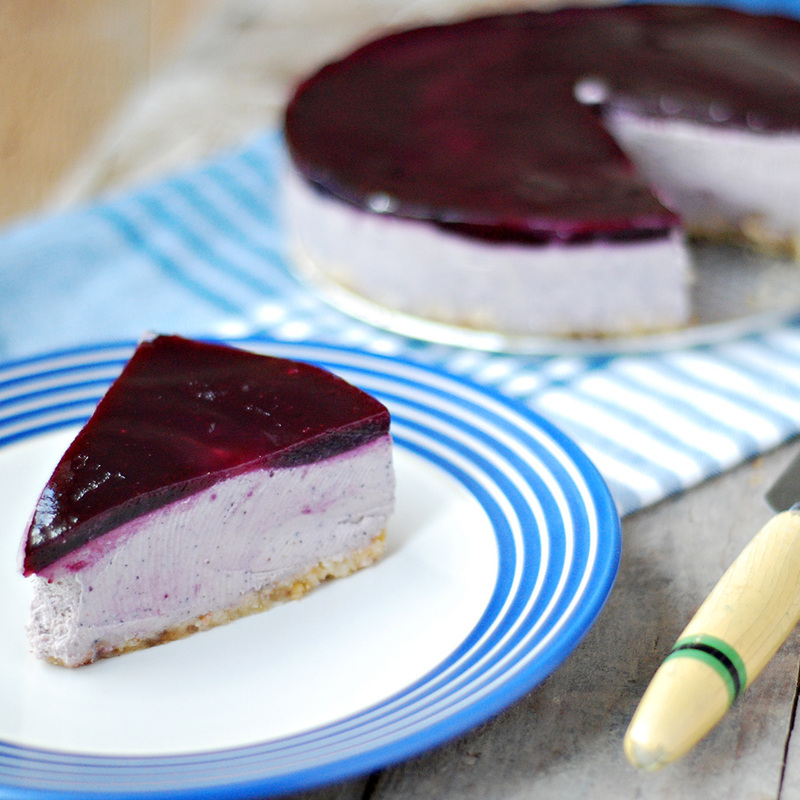 The heavenly combination of blueberry and cashew is to die for and will certainly impress your family and friends. On food processor or blender mix the crust ingredient and spread it pressing with your fingers on a greased 8 inches round spring form baking tray. If you plan to take the cheesecake from the baking tray lay at the bottom a greased proof baking sheet. Drain the cashew and beat on the food processor or blender for about 4 minutes. If your coconut oil is not liquid, heat it on the microwave for one minute. Add the rest of the filling ingredients to the blender, one at a time and beat for about 10 minutes. Only stop when all the ingredients are well mixed together into a thick cream. Pour the mixture on top of the crust and spread as evenly as you can, take it for the freezer for 1 hour. Add the blueberries and sugar to a sauce pan on a low fire. Mix the cornflour with the water and add it to the pan. Stir until almost boiling point. Pass the liquid through a sieve and cook a bit more until it thickens. Spread it on top of the filling and take it to the fridge overnight.